How much do you know about the water you use every day in your home? Is it really as clean and safe as you think it is? You would be surprised at just how many things can contribute to the degrading of your home’s water quality. If you suspect there may be a problem, we can help test the water to ensure it is safe for usage. 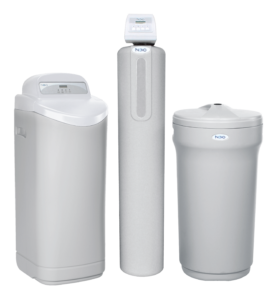 You may find that a water filtration and purification system would be of great benefit in your home. CALL US FOR A FREE WATER TEST! At Lightfoot Plumbing, we pride ourselves on offering comprehensive Water Quality Testing Services to suit your every need. We understand that customers sometimes just need peace of mind to know that the water they use in their home is clean and safe. We take a detailed and meticulous approach in our testing your water to ensure that we arrive at accurate results. Many people don’t realize that the water they receive from the reservoir isn’t actually that clean to begin with. While the water goes through a municipal treatment plant and the majority of harmful substances are removed, some contaminants will likely remain. If you notice that the water in your glass is not as clear as you would expect, and it is cloudy or discolored, then it’s time to call a plumber in Weatherford TX. You may even be able to notice there’s a problem with the way the water smells or tastes. Of course, water testing is a good idea regardless of whether or not you have noticed any issues with the water of your home. Our Water Quality Testing services will assess the water in your home to see if any mineral, chemical, or biological contaminants remain and need to be removed. 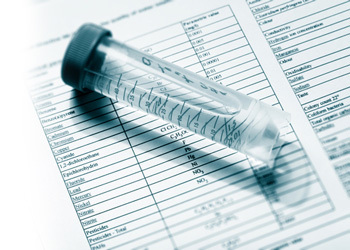 We take samples from your home’s water system to perform our testing and analysis. In order to conduct proper water testing, you need to have the right skills, knowledge, and tools. We are fully licensed and qualified to complete these tests and have the necessary specialized equipment to carry out the job. If you think there may be a problem with the quality of water in your home, then contact us today to arrange specialist water testing. Our tests provide customers with a complete outline of the water’s composition. This enables our technicians to determine the best solution for your water problems. We can guide you to a filtration and purification system for your home or office that will be able to get rid of remaining contaminants. We can help to ensure that the water used by you and your family is not only clean but also safe. With the right treatments, you can enjoy cleaner, healthier, and better-tasting water. Taking the time to have your water tested is always a good idea, so you don’t have to worry about harmful substances affecting your home. You may have noticed a strange taste in your water, which can be one of the first signs that the quality is below what it should be. Don’t just let the problem remain – contact our team to schedule a water test and find out whether or not your water is clean and safe to use. At Lightfoot Plumbing, we have been serving customers in Weatherford since 1983. We offer a variety of plumbing services and have the necessary skills and training to complete the work quickly and effectively. We pride ourselves on our excellent customer service skills and leave ourselves available to your call 24/7. Call Lightfoot Mechanical, our highly experienced plumbers are on hand to serve you day and night!